JURGEN Klopp says Liverpool players gave Sadio Mane a standing ovation after his moment of "pure class" against Burnley. 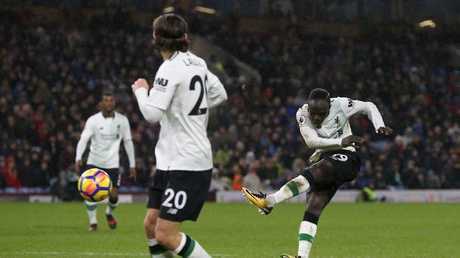 Mane broke the deadlock at Turf Moor in the 61st minute when he controlled well and then fired in a shot from just inside the box. 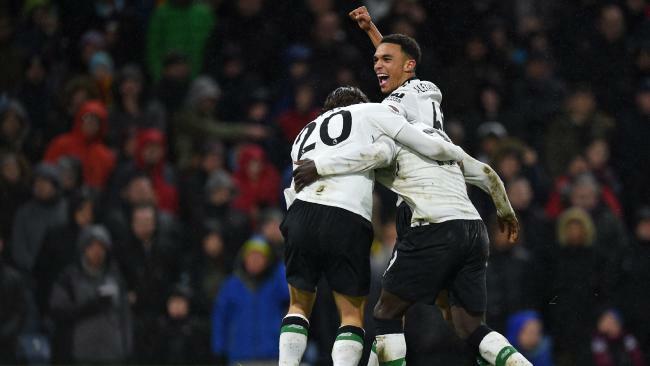 While the goal did not turn out to be the winner as Ragnar Klavan scored in injury-time to secure a 2-1 victory, Klopp revealed the Liverpool players still recognised Mane's moment of quality. "We came into the dressing room and the whole team got up and gave him big hands," he told Sky Sports. "It's not the easiest time in this moment, it's not fluent, but scoring that goal shows pure class, so I am really happy about that." Speaking in his post-match press conference, Klopp added that Mane is "unbelievably important" for Liverpool. "In so many moments he is strong, quick, so many things. And in the other moments where it doesn't click, he scores a goal like this and it is like 'wow'," he said. "He came into the dressing room and the whole team got up and gave him a hand, because they know. He will be back on top. "He has made steps. We need him, we need him so much for all the things that are coming. I am happy because I had a lot of players with moments where it wasn't clicking and they never scored. Sadio still scores, and that's really cool!" Reflecting on the game, which saw Burnley equalise in the 88th minute before Klavan scored a late winner, Klopp said: "Very difficult. These fixtures are really difficult and the boys did brilliantly attitude wise. It was windy, rainy and an ugly to play opponent. Burnley are doing well. "Over the 90 minutes, with all respect to Burnley and the performance and the season they are having, it was a deserved three points. I am really happy about the attitude we showed and that we did get the three points." Liverpool were without both Phillipe Coutinho and Mohamed Salah for the match due to injuries, while Roberto Firmino started on the bench.